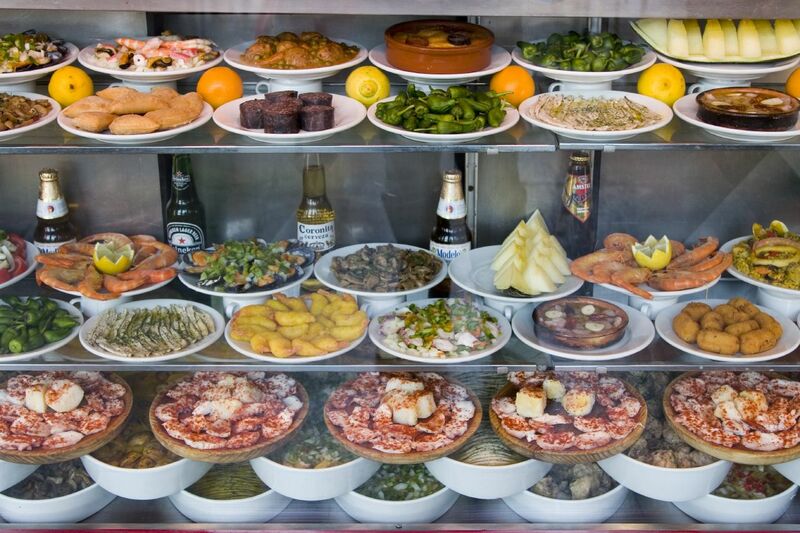 Famous throughout the world for its traditional dishes, such as paella, gazpacho and Catalan cream, Spanish cuisine is able to boast a wide variety of raw materials, which have always been elaborated both in home cooking and in catering with great imagination, wisdom and competence. 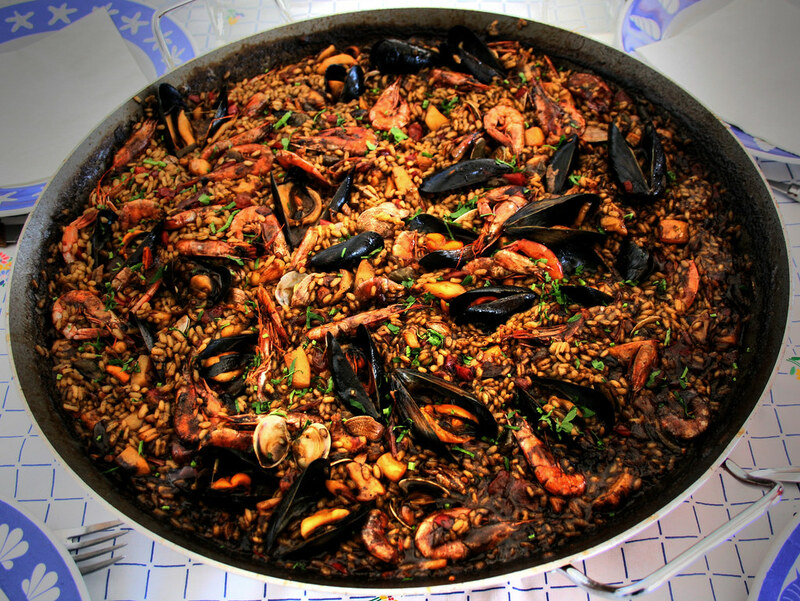 The Spanish cuisine is distinguished by having first introduced, at the beginning of the sixteenth century, some ingredients from the Americas, such as tomatoes, potatoes, corn or cocoa, which today are commonly used throughout Europe, in many different preparations. Saffron rice combined with white fish, shrimps, squids and clams. 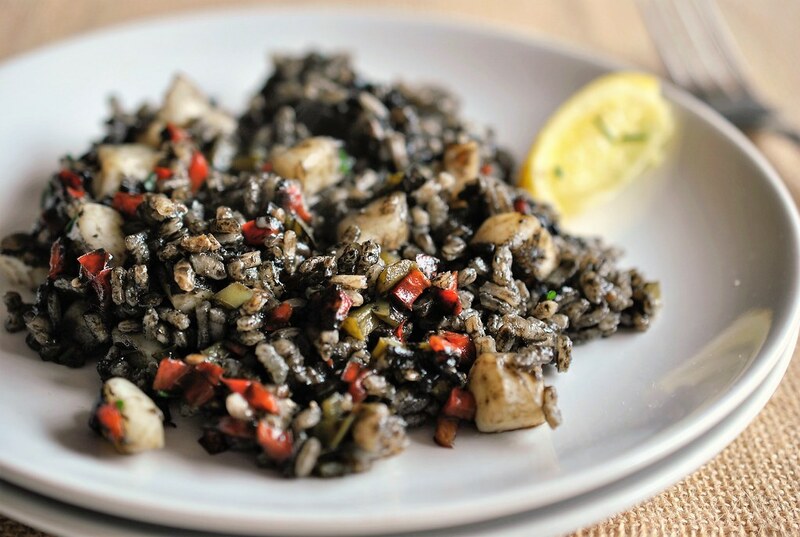 Rice with cephalopod ink, cuttlefish or squid, garlic, green cubanelle peppers, sweet paprika, olive oil and seafood broth. 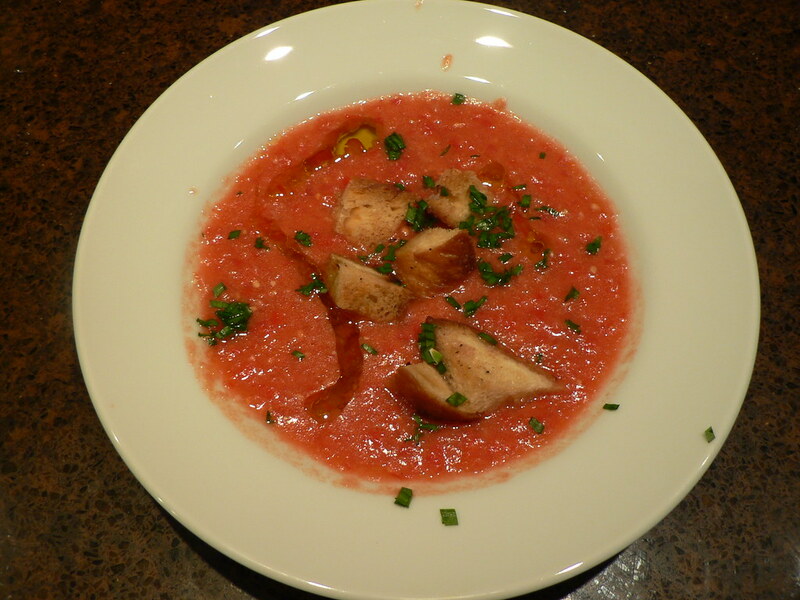 Cold soup made with raw tomato, cucumber, pepper, onion and some garlic, olive oil, wine vinegar, water and salt. 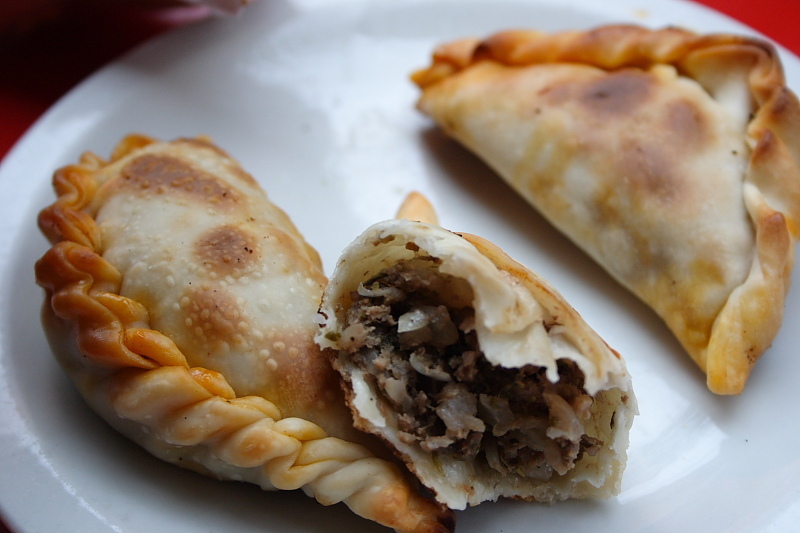 Meat or vegetables filled pastry. 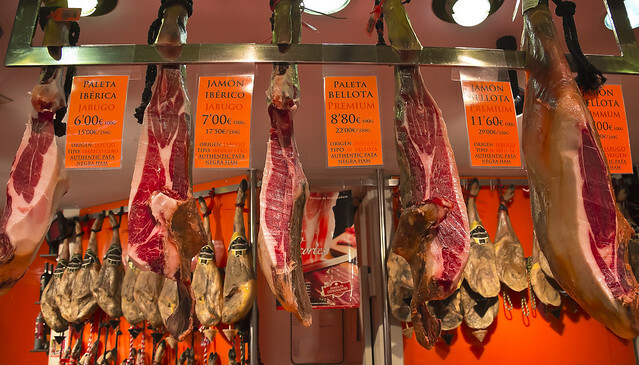 Cured ham served raw in thin slices. 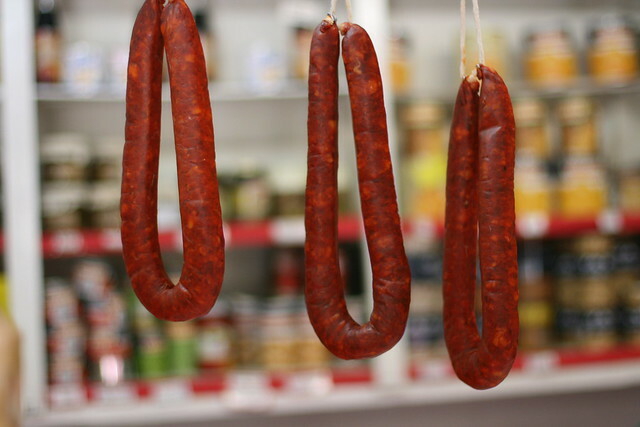 Cured, spicy pork sausage made of chopped pork and pork fat, seasoned with pimentón (smoked paprika) and salt. Can be served raw or cooked. Meat-balls served as an appetizer or main course, usually in a tomato sauce. 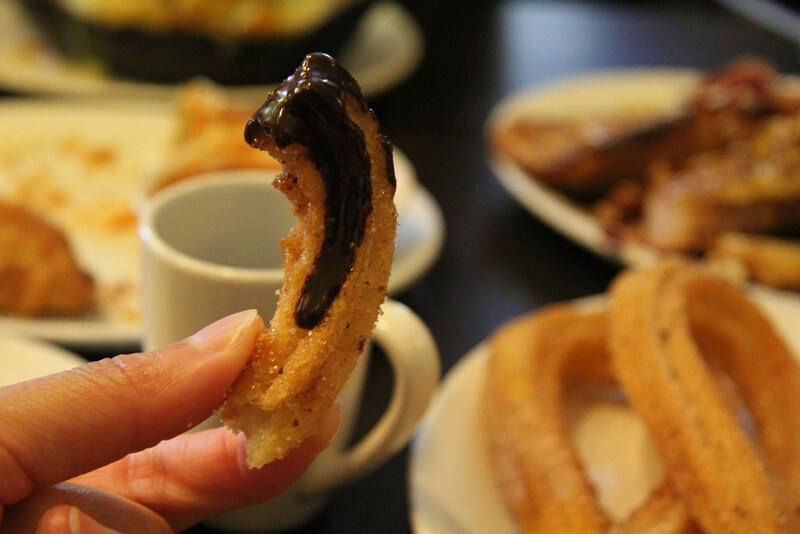 Small portions of any kind of food; may be cold (such as mixed olives and cheese) or hot (such as chopitos, battered, fried baby squid). 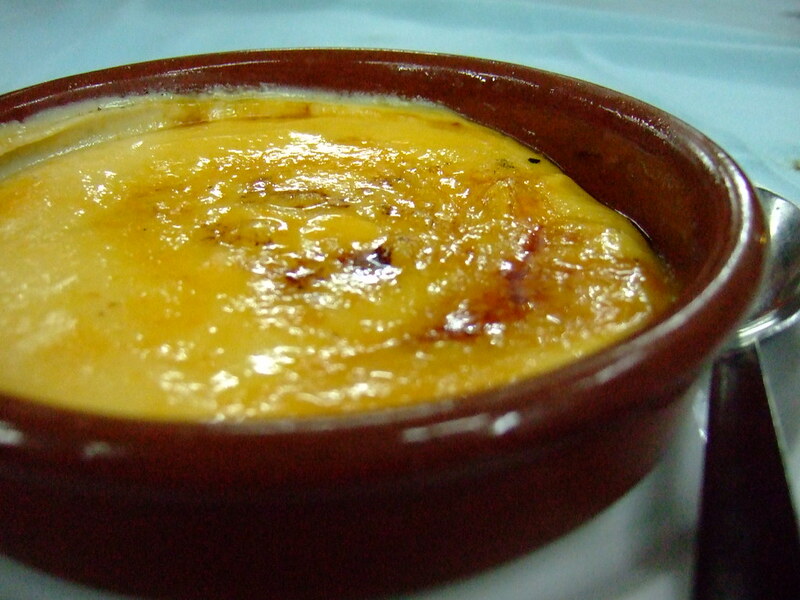 A crème caramel-like dessert with a custard base with a hard caramel top. 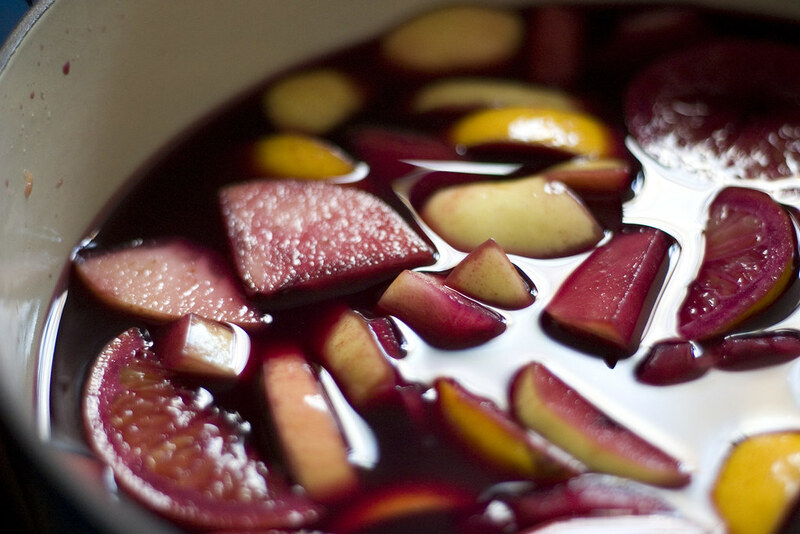 Alcoholic drink symbol of Spain made from wine, fruit pieces and spices. Liqueur made from citrus and fruit juices, flavored with vanilla and other aromatic herbs and spices, for a total 43 different ingredients (hence the name).